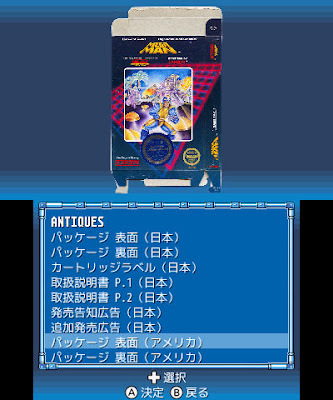 The 3DS version of MMLC1 includes a whopping 216 additional images not found in any other version. The new pieces include North American, Japanese and European box art scans, cartridge label scans, rare promotional materials and scans of all six Japanese instruction manuals. You can read more about the added 3DS bonuses here. Digital Eclipse also went on to say the Switch version will include "a couple other updates". This is probably a reference to the new rewind feature and, perhaps, other unannounced features. Lastly, Digital Eclipse confirmed they are not working on the current-gen Mega Man X1-X8 ports. "We aren't involved in those projects," they said in a tweet. "Capcom does MMLC2 and MMX Collection internally." At this time, I have no news to share on the availability of MMLC1 + MMLC2 on Switch (if they will be sold individually or bundled) or how the Mega Man X1-X8 ports will be handled (sold individually or in a collection). I have been in touch with Capcom on the subject and they provided me with a statement: "We haven’t confirmed the release formats just yet for the games announced this week but we’ll have more info to share in the coming months. :) "
Mega Man Legacy Collection 1 and Mega Man Legacy Collection 2 are slated to hit Nintendo Switch in Spring, 2018. 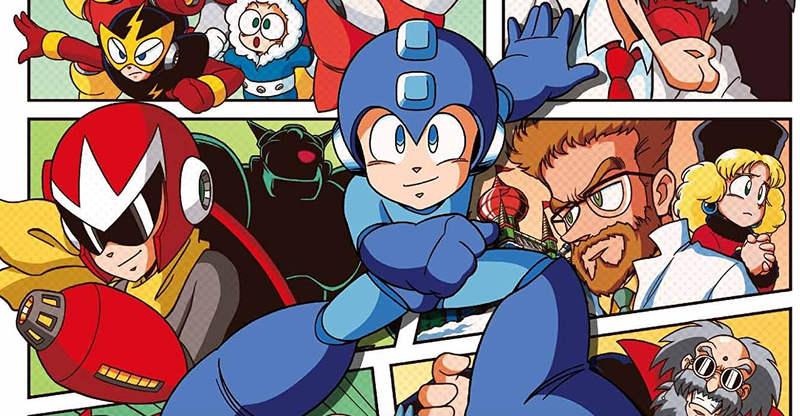 I hope they make a mega man spin-off collection next! They would probably break it up into 2 sets though, with Mega Man & Bass selling one set, and Powered Up likely selling the other one... Even throw in those old cell phone games. What about the GameBoy games? Judging on these being on the hardware we have today, why couldn't all of Mega Man's titles fit on one disk? At least the entire classic series with the GameBoy titles, Mega Man Soccer, Battle and Chase, Battle and Fighters, MM&B, etc. Maybe a second collection for all of the X series titles SNES, GameBoy, PS and PS2 releases, as well as MHX. There should be plenty of room for all of these on the current generation console's capabilities for a single disk. I'm actually quite irritated that they still didn't release the GameBoy titles in these collections. It's coming off as an attempt to nickle and dime us. They could, but while they could all fit, there is a lot of work making them work. Not sure how legacy collection 2 went, but the first one, they made an engine to recreate the NES system or something like that. They'd have to build one for gameboy, arcade, and psp. They already have something ready for SNES and PSX, as well as whatever version of MM9/10 was used. Ah, good. Now, even more people can get disgusted with my obscene 3DS/Amiibo Challenge. Well, you'd be the first to do so, from what I've read and seen. Big congrats, though! The most infamous of them all... "Wily's Machines." Heh heh heh. Didn't know one of your challenges got in the Collection! That's pretty sweet. I don't have an amiibo scanner (yet) so I haven't been able to try it out yet. A couple of people from the community got their challenges into the game. I think. I know that Flashman85/GeminiLaser got his in (Fortress Fun House), which is pretty cool.